The Virtual gastric Band is a remarkable weight-loss program, pioneered in England with a 95% success rate in two double-blind studies. As the name suggests, the system utilizes the concept of a "virtual" gastric band and clinical hypnotherapy. It successfully harnesses the power that every individual holds within them to make changes to their lives. 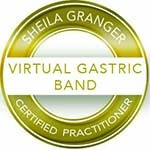 Over 500 clients have benefited from The Virtual Gastric Band therapy. The Virtual Gastric Band is a non-surgical technique which uses the power of hypnosis to retrain you to be satisfied with smaller amounts of food. It changes how you think about food and gives very safe, very predictable results. The hypnotherapy/relaxation therapy convinces the brain that the stomach is full after a certain level of intake, and that there is no need for more food. 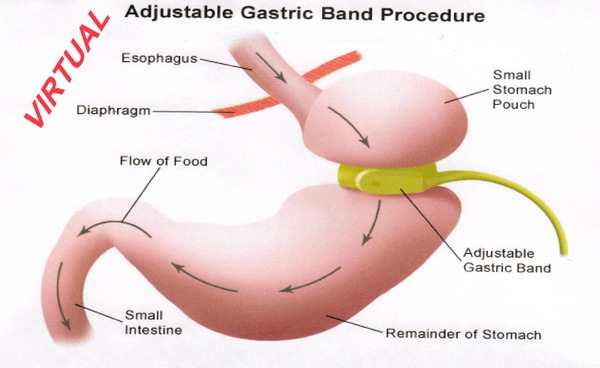 The actual medical procedure reduces the physical size of the stomach, and may achieve the same result, but The Virtual Gastric Band can be undertaken quickly and privately, without the lengthy delay of hospital waiting lists, and of course carries no costly invasive surgery, no risks and no on-going medical treatment. The program consists of four consecutive weekly session that can be group based or private sessions. Payment options available. Call Rhonda MacFadzen, Certified VGB Practitioner, at Synergy Massage & Personal Fitness for more information.